A Cincinnati orthopedic surgeon recommends a simple fix to avoid costly and painful foot and ankle surgery: daily calf stretching. 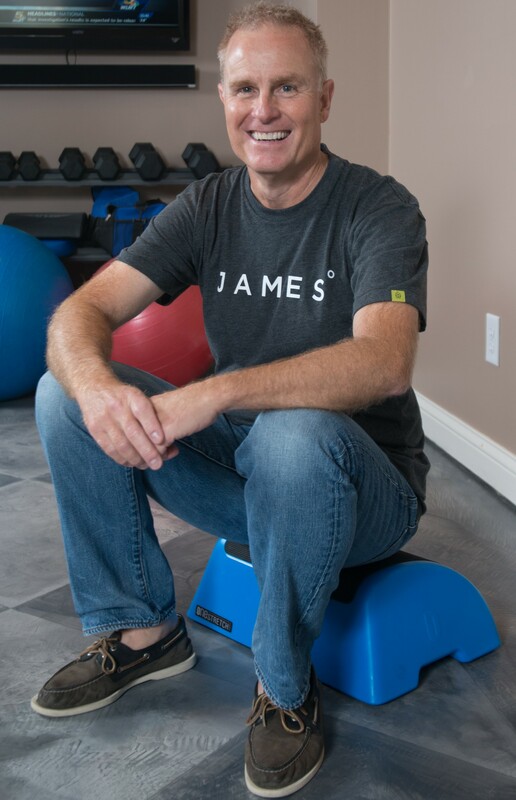 Dr. James Amis' calf-stretching theory is featured in Frontiers magazine, an international online, peer-reviewed, open access publication for scientists and researchers. “The good news is that even after clinical damage has been done, a program that stretches the calf and Achilles tendon can eliminate pain and even reverse the damage,” Amis says. 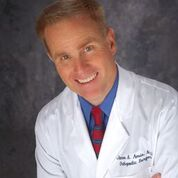 Cincinnati orthopedic surgeon James Amis, MD, says a majority of foot and ankle conditions are caused by equinus--tight calves-- and can be treated definitively without surgery-- by daily calf stretching. 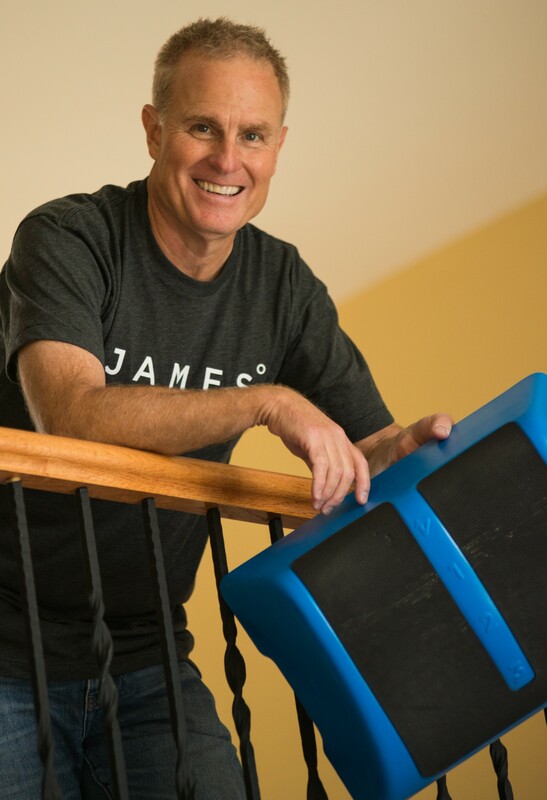 Amis offers his patients a simple and noninvasive solution that has helped up to 65 percent of his patients avoid surgery over his 30-year surgical career: calf stretching. An article Amis has written titled, "The Split-Second Effect: The Mechanism of How Equinus Damages the Human Foot and Ankle,” will be published July 27 in Frontiers magazine, one of the world’s largest and fastest-growing peer-reviewed, open-access publications for scientists and researchers. Both surgical and non-surgical treatment today for non-traumatic, acquired foot and ankle problems are wrongly focused on the obvious foot or ankle problem themselves, says Amis. This includes plantar fasciitis, Achilles tendon injuries, Morton’s neuroma and even stress fractures. Nationally, foot and ankle surgeries are an annual $11 billion business, according to medical researchers K. B. Tong and J. Furia. Treatment for plantar fasciitis alone is a $1 billion-plus industry, say researchers D. A. Belatti and P. Phisitkul. There’s been little emphasis in medical literature on how biomechanical mechanisms can create a damaging effect in the foot and ankle, says Amis. “For this reason, few of my peers share my conviction that the calf is the actual problem. Yet these same few doctors schedule surgery to lengthen the Achilles tendon to alleviate foot pain. They generally think calf stretching does not work because the literature does not encourage it, even though the evidence does. Amis recommends patients stretch their calves fully three minutes per day, three times in succession for a total of nine minutes per day—every day-- for the rest of their lives. “The good news is that even after clinical damage has been done, a program that stretches the calf and Achilles tendon can eliminate pain and even reverse the damage,” he says. Amis developed a medical device in 2011 called One Stretch, which looks like a curved footstool and helps patients stretch their calves. He retired from clinical practice in June as a member of the Department of Orthopaedic Surgery at the University of Cincinnati and surgeon at Good Samaritan Hospital, a TriHealth physician partner, and is moving to a position with Johnson & Johnson, DePuy Synthes Companies. Amis contends that more than 65 percent of the non-traumatic acquired foot and ankle problems he has seen throughout his career arise from tight calves. He says most of these cases can be effectively treated with calf stretching because stretching treats the cause of the pain. While no definitive data on the efficacy of calf-stretching to avoid foot and ankle injuries exists, he contends that these same problems can be prevented and warrant further investigation. Research on this subject bears out his observations. As early as 1913, John Nutt made a correlation between tight calves and Achilles tendon tightness. David Porter headed a 2002 study that determined calf stretching for six months after heel pain begins increased Achilles tendon flexibility and could help patients avoid surgery. J.T. Cheung, et al. reported in 2006 that tight calves caused twice the amount of strain on the plantar fascia as body weight, and Amar Patel and Benedict DiGiovanni estimated in 2011 that 83 percent of plantar fasciitis cases were associated with tight calves. Javier Huerta described in 2014 how tight calves cause plantar fasciitis. Amis says his Frontiers article shows the mechanism of damage exerted by calf contracture on a review of existing literature on the subject; observations during his 30 years of clinical and orthopedic foot and ankle experience; and examination of many hours of slow-motion video of normal and abnormal human gaits. He says what the majority of his orthopedic surgeon colleagues don’t understand is that over time, a too-tight calf can have far-reaching negative effects on the foot and ankle, causing increased mechanical stress on bones, joints, tendons and ligaments. Amis admits that his advocacy for calf-stretching is disruptive to the orthopedic surgical community as well as patients, but says he is dedicated to patient recovery, not surgery. As we age, calf tightness is almost inevitable, says Amis. Several reasons why it occurs are that we become more sedentary as we age and have less daily stretch of the calf muscles; age decreases the elasticity in calf connective tissue; and high-heeled shoes shorten the calf, which tends to stay short over time. Even athletes or runners who use similar stride lengths consistently while training may not stretch their calves to full extension and become subject to Achilles tendon inflammation and plantar fasciitis, says Amis. “Patients come to me and say they have tried everything: physical therapy, orthotics, rest, immobilization, injections, and non-steroidal anti-inflammatory medicines—even acupuncture,” he says. “And they are right. But they have not tried the one thing most likely to help: calf stretching. To read the full text of Amis’ Frontiers article, visit http://www.onestretch.com or go to the Frontiers website at /bit.ly/1tAEUM1. 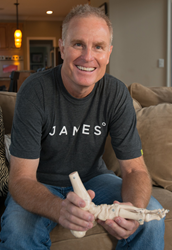 One Stretch is a medical device developed by Dr. James Amis, an orthopedic surgeon who studied patient foot and ankle problems over his 30-year medical career and deduced that many common foot and ankle problems occur because of tight calves. He found that 65 percent of his patients could avoid surgery by engaging in calf stretching for nine minutes per day. The One Stretch is available for sale at http://www.amazon.com.